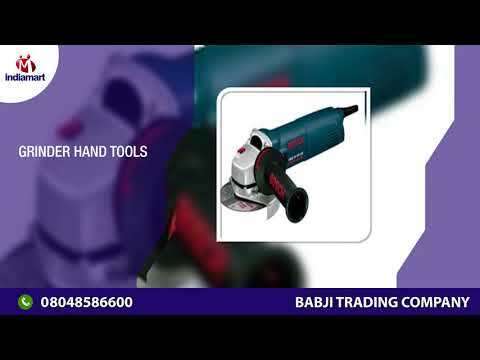 We Babji Trading Company since 2007 are a highly famous organization of the industry involved in wholesale trading a broad assortment of best quality Hand and Power Tools. Under this range, we offer Hand Tools, Industrial Power Tools, Safety Equipment, Metal Fasteners, Pneumatic and Hydraulic Fitting, Silicone Sealant and Tapes, Rust Remover, Cable Ties and Clips, Hardware Nut Bolt etc. Our provided products are manufactured using only high quality components at our vendor%u2019s ultra-modern processing unit. These products are highly demanded by the customers for their low maintenance, fine finishing, high functioning, super performance and longer service life.